Dr. Michael Makhinson, the Co-Director of the Harbor UCLA Inpatient Psychiatry Program, will speak this evening, Monday 2/26, at 7:30 p.m. on the mental illness of Schizophrenia. The meeting will be held at First Lutheran Church, 2900 Carson Street, in Torrance. Dr. Makhinson received his medical degree from the UCLA David Geffen School of Medicine and his doctorate in psychology from the UCLA/Neuropsychiatric Institute. He will provide an overview of the illness, and updates on treatments and medications. It will also be an opportunity to ask the Doctor questions about the illness. We plan to have a series on the major mental illness in the coming months which allow us to get the latest information on the illness and be able to ask the doctor questions about that illness and related issues. Have schizophrenia or care for someone who does? Help inform better medications by sharing your experiences with increased or more intense symptoms of schizophrenia that may have led to hospitalization or community-based treatment—either as a person with schizophrenia or as a caregiver. Your responses will provide real-life insights that will help research into medications that may help symptoms of schizophrenia from getting worse. If you qualify and complete the anonymous research survey, you will receive a $50 Visa gift card. 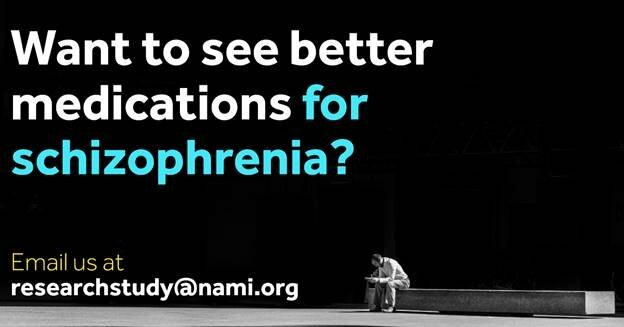 If you’re interested or have questions, email researchstudy@nami.org or call (888) 780-4167. So, email or call today! 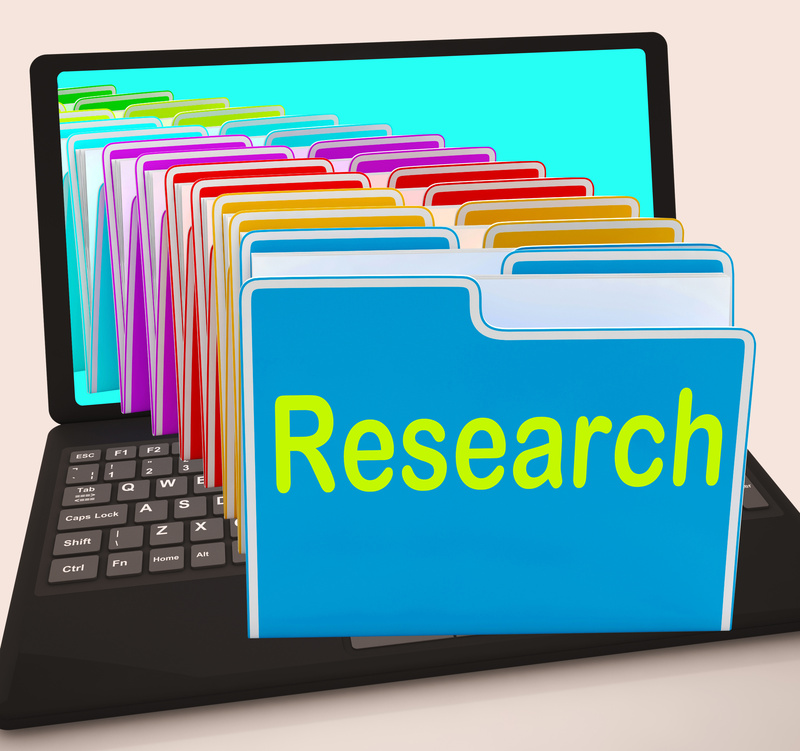 What do you need to take part in the research study? Questions? Please contact us at researchstudy@nami.org. The Department of Psychiatry at Harvard Medical School encourages a wide array of supports that could help reduce the likelihood of developing schizophrenia in children at high familial risk, according to the journal Schizophrenia Bulletin. The article, written by Cindy Liu, Ph.D., and colleagues, says that often children born to parents with schizophrenia exhibit subtle but visible signs that can predict later development of psychoses. 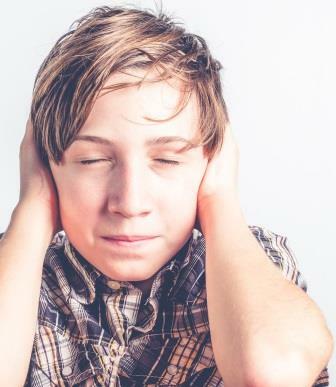 The signs can include neuromotor problems, minor physical anomalies, cognitive difficulties, antisocial behavior, and problems with speech, language, or hearing. Of course, these things are not determinative. Many things, including childhood adversity and life stress also may contribute to risk. Still, focusing on high-familial-risk children “may be the most practical strategy for early intervention at this time,” Liu concludes, recommending interventions that might include enhancing parental skills, increasing social support, applying psychotherapy for parents, prenatal care for women with psychoses, and ensuring access to important psychiatric, social, educational, and legal resources. More research is needed to know which interventions are most effective in terms of function and cost. Of course, all of these are “good reasons to seek mental health help.” But don’t conclude that a mental illness diagnosis is the only outcome. To read the article see Living With the Voices in Your Head. Schizophrenia – Psychosis or Something More Profound? A new medication, now in phase 3 clinical development for the treatment of schizophrenia, is showing great promise, according to its manufacturer and developer, Intra-Cellular Therapies Inc., as presented at the end of March at the 15th International Congress on Schizophrenia Research (ICOSR) in Colorado Springs and this week at the 4th Biennial Schizophrenia International Research Society (SIRS) Conference in Florence, Italy. 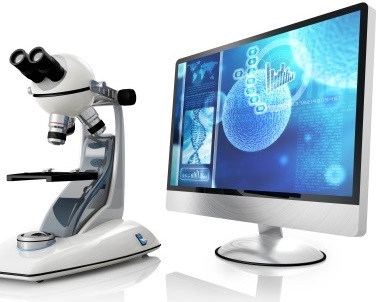 Adept Consumer Testing, a National Market Research Firm is looking for Patients that have been diagnosed by a physician as having “Schizophrenia” and Caregivers of Patients diagnosed with Schizophrenia to participate in a paid medical market research study. These individual interviews will last approximately 60 minutes on Wednesday, February 25th in the Beverly Hills area. A generous honorarium will be provided to all those that qualify and participate. If you would like to participate, please contact Adept Consumer Testing at the following phone number so they can ask you the qualifying questions. Tell them NAMI South Bay sent you. From Psychiatric News Alert: The duration of psychiatric illness and treatment for patients after first-episode schizophrenia spectrum disorders (FES) appears to be associated with weight gain and having other cardiometabolic abnormalities, according to a study published in JAMA Psychiatry. Data showed that when evaluated after experiencing FES, nearly 50% were obese or overweight, 40% had prehypertension, 10% had hypertension, and 13.2% had some form of metabolic syndrome. Longer psychiatric illness duration correlated significantly with higher body mass index, fat percentage, and waist circumference. Treatment with antipsychotic medications, such as olanzapine and quetiapine, was associated with higher triglyceride levels in the blood.